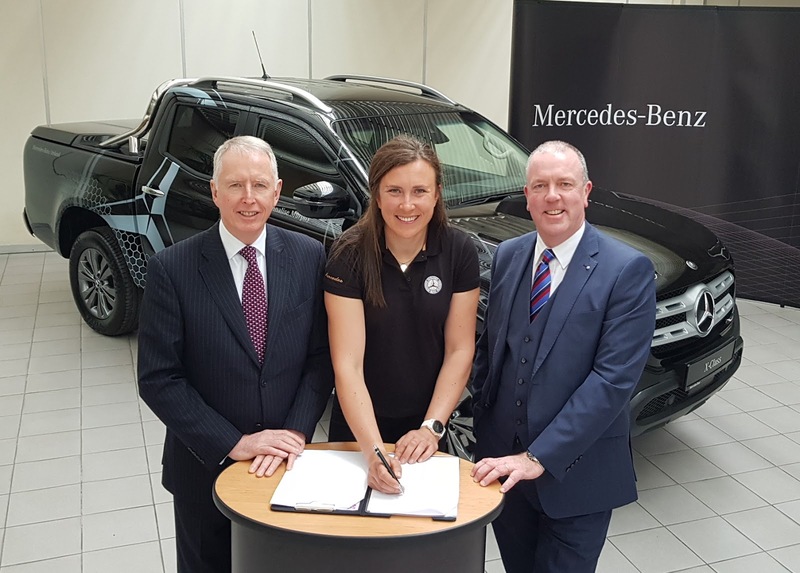 Mercedes-Benz has extended its support of Olympic silver medal-winning sailor Annalise Murphy as she continues her preparations to represent Ireland in the 2020 Olympic Games in Tokyo, writes Trish Whelan. Renewing her ‘Tier One partnership arrangement, the Rathfarnham sailing star has been provided with a new X-Class pickup to transport her team, herself and her equipment to events, here in Ireland and overseas. ‘Having the Mercedes-Benz X-Class is a major boost to my training regime and my ambitions for Tokyo and I’m really looking forward to giving my preparation the X-tra power that the stylish new X-Class delivers,” Annalise commented. Soon to be a regular sight at 49er FX sailing events, the 190hp X-Class is finished in the new familiar eye-catching Kabara black, silver and grey livery similar to that on her previous Mercedes-Benz Vita Mixto van. Equipped to tow her 4934 FX, its features include 4MATIC 4x4 automatic transmission, chrome style bar, bed liner and bed cover in body-matching colour, reversing camera, cruise control, rear sliding window and a style pack that includes roof rails and side steps. Pictured above with Annalise and her new X-Class pickup are Stephen Byrne and Fergus Conheady of Mercedes-Benz.